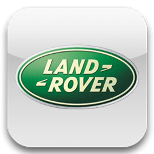 Many Land Rover models use the Lucas 2 button remote to operate the immobiliser system. This means that if the remote is lost or broken, even if you have a key, you will be unable to start the vehicle. At Devon Car Keys (part of Devon Security) we can replace lost keys and program replacement remotes at the roadside, there is no need to have your vehicle recovered to the dealer.